Music matters, so why has it slipped from focus? Why are many concerned that participation is becoming reserved for those whose families can afford to pay? That’s because in many cases, it is. In 2003, Robert Stevens, a fellow of the Conservatorium of Music noted in his report titled, ‘National Report on Trends in School Music Education Provision in Australia’ that as few as 23 percent of state schools can provide their students an effective music education. In the private system, it’s close to 88 percent. Considering our current obsession with leading the PISA charge in STEM subjects, it’s worth noting the keen focus on the arts in those countries who are on top. This knowledge should assuage any concerns that increased funding to the arts will distract us from ‘more important things’ like numeracy. What are the benefits? How should music education look? 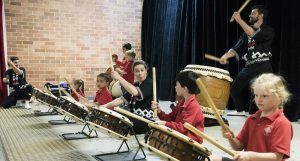 To answer these questions, and more, School News called on industry experts: David Hines of instrument supplier Axiom Music, and Michael Sollis, artistic director of external learning provider, Musica Viva Australia. Michael Sollis began with: “the opportunity to see live music, experience it with their own eyes, ears, and feel it with their entire bodies, provides a tremendous transformative opportunity for a child’s life”. David Hines pointed to the role of music in cognitive development, “as well as providing an outlet for personal expression and creating an environment for interaction with other creative students”. That sounds compelling; so what about equipment? Mr Hines advised: “low cost instruments are important, as many parents have limited resources.” Yes, we all know of dazzling violin careers that lasted six months. The music industry veteran emphasised that access to a variety of instruments students actually want to play is vital, advising that not all musical instruments need to be prohibitively expensive. “Offering low-cost instruments is important for first-time players, who may go through a few false starts before they settle on their instrument,” he granted. Mr Hines informed School News that one year’s rental of an elite brand will cost roughly the same as purchasing an instrument priced for the novice musician. Instrument choices are numerous and schools now dabble with everything from classical piano to bongos and the marimba. “Brass and woodwind instruments remain very popular, but other instruments are providing opportunities,” Mr Hines re-counted; “the ukulele has proven to be a cheap, easy to learn instrument”. From a pedagogical perspective, Michael Sollis emphasised that music education must allow students to “discover, experience and create”. 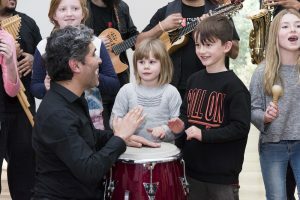 Leading an organisation which performs to over 300,000 students each year, Mr Sollis has come to understand “there are many ways to learn and experience music.” Resources and musical culture will vary between schools, with some enjoying a dedicated music teacher, while others do their best with what they can. Common principles permeate successful music instruction, which can be applied by anyone. 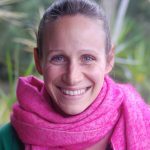 Experience: “Experiencing live music at a young age has the unique power to unlock a child’s creativity, which can be applied to any part of their lives, not just music”. Discovery: “It’s also about discovering each experience with your unique perspective,” he continued. 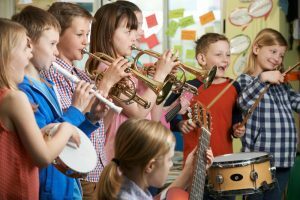 Creative engagement: Even without a dominant “performance culture with school bands”, schools can find ways to allow students to ‘do’ music, and don’t forget diversity! “Our media-rich world really speaks to that diversity; it’s very easy for teachers and students to hop online and access a variety of resources,” he encouraged. Let kids see and hear someone sing or play instruments; it makes it feel more possible for them to do it. Music programs should allow students to create; music is not just a language to know; it’s a thing to do. Encourage a child to listen first – don’t explain how things sound, let them listen. Ensure they understand social cultural aspects of performance, how to respond (clapping, engaging). 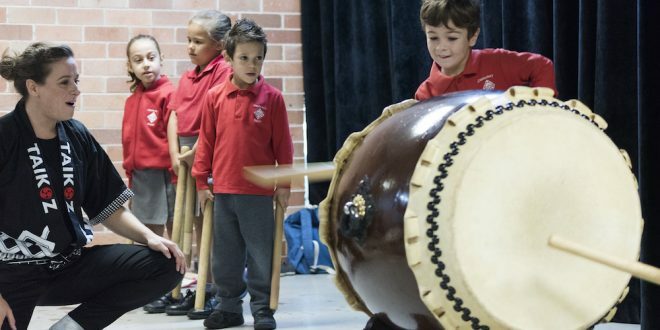 “If presented the right way, a musical program can incentivise and engage students who otherwise do not feel connected to the school program,” David Hines supplied. “Last year, I visited Nhulunbuy Primary School, in North East Arnhem land; they had a great lunchtime music program for students who had been identified as disengaged,” Michael Sollis described. Music is not merely a conduit for developing pathways for literacy and numeracy: “Music is valuable on its own terms,” Mr Sollis declared. “If you just view it as a tool for something else, it won’t be the most rich and engaging music experience possible,” warned the passionate performance artist. Many passionate (and wise) teachers understand that music has some serious pull, especially with older students. “Music is such a fundamental part of most people’s worlds,” Mr Sollis reminded, “just try to find a teen who isn’t moved by music!”. “To give students the opportunity to discover creative response will always be a winner. Music is vital for enjoying a rich and engaged life,” he spurred. All I could think was: ‘I hope he turns up at my kids’ school soon’… what a galvanising force a creative artist can be. Previous Which languages should children be learning to get ahead?